First conceptualized in 2009, prior to NASAs landmark discovery of Jupiters large lakes, Europa Report explores the fundamental question driving space discovery: Are we alone? With private funds and advanced technology at their disposal, the fictitious Europa Ventures space exploration company enlists seven brilliant voyagers for the groundbreaking Europa Mission, the first venture beyond Earths orbit since 1972. Masterminded by company founders Drs. Samantha Unger and Tarik Pamuk, who also narrate the film and drive the story forward in current time, the multi-year investigative mission (16 months on Europa alone!) would combine state-of-the-art science with modern entertainment. Europa Reports first act parlays the mundane lull of life in spaceexercise to stave off atrophy, recycling urine for distilled water, ship engineers Andrei Blok and James Corrigan bickering in close quartersovershadowed by the hints of future tragedy. Indeed, approximately six months into their journey, the Europa Mission communications with ground control are cut off by an unexpected solar storm. From here, the film cleverly seesaws between the present and chronological flashbacks, as the crew bravely decides to press on with their journey. The films tempo subtlely, but effectively, picks up with a series of tragic events that affect the crew. When the ship is stranded on the moons surface due to heat beneath the ice surface, the crew take drastic steps, led by pilot Rosa Dasque to ensure that the precious data they collected is not for naught. Europa Report is easily the most realistic depiction of travel and life in space since 2009s Moon and the 1960s standard-bearer 2001: A Space Odyssey. Committed to the accuracy of its sets, shuttle, space imagery and scientific data, Europa Report relied on heavy consultation with NASA/Jet Propulsion Laboratory, SpaceX and other scientific leaders from the planning and execution of the mission to what the surface of Europa would look like. Filmmakers worked with astrobiologists to conceive theoretical, yet plausible, Europa life forms from the bioluminescent ones that exist deep in the Earths oceans. The depiction of the Europa landing is one of the most exciting science movie moments I have ever seen on screen. A view of Jupiter’s moon Europa during a scene from film “Europa Report.” Collaborations with NASA allowed filmmakers to provide as much scientific accuracy as possible. With the help of NASA and SpaceX, set designer Eugenio Caballero built a fully authentic spaceship, including living quarters, control area and zero gravity wirework. 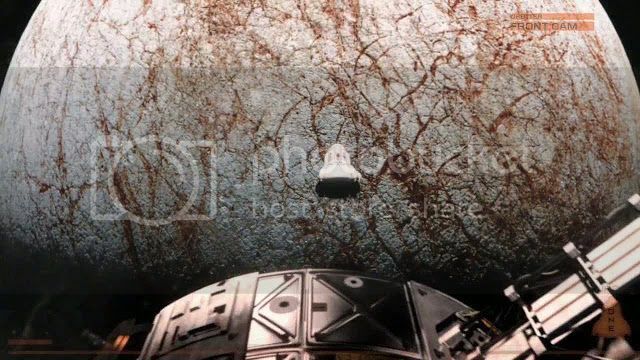 After production was complete, the visual effects team replicated the Europa exterior environment based on data and imagery collected during the Galileo mission. Perhaps as a result, some of the films strongest sequences occur when Dr. Katya Petrovna tenuously ventures on the icy surface to collect data and explore the surroundings, leading to the heart-stopping conclusion that both seals the teams ultimate fate and reaffirms the value of their mission. This project felt like a unique opportunity to do something plausible but forward thinking, somewhere between NASA and Star Trek, said Ben Browning, whose company Wayfare Entertainment developed the film. undertake these endeavors. Lastly, is the commercialization of space a good idea? In the wake of celebrities buying shuttle rides into Earths orbit and space ventures funded by billionaires, who will maintain regulatory oversight and scientific integrity? Ultimately, its inevitable that there will be a real-life mission to Europa, or even beyond. And an even bigger possibility that a groundbreaking discovery of current life in outer space will be made. But until that day, Europa Report unveils a grand science experiment before our eyes and perhaps, even a glimpse into the future. 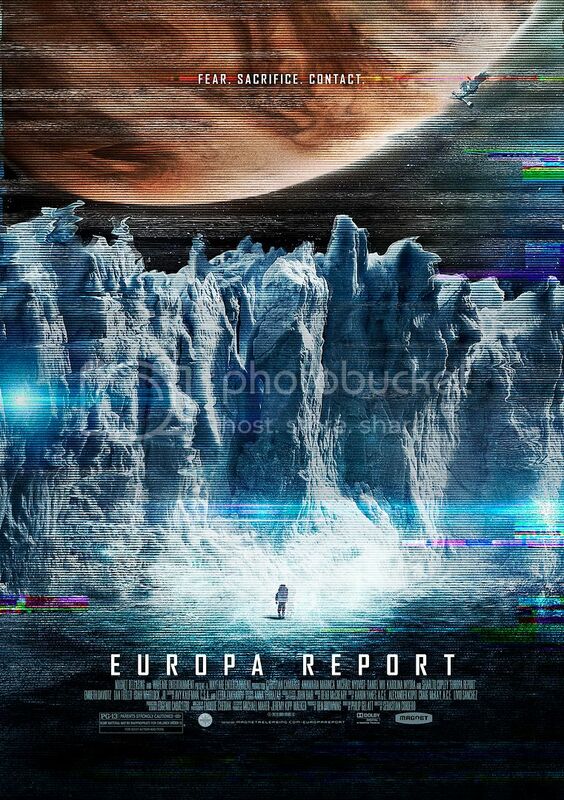 Europa Report goes into limited theatrical release on August 2, 2013 and is available On Demand.